A chic, grungy gown with a feminine twist! 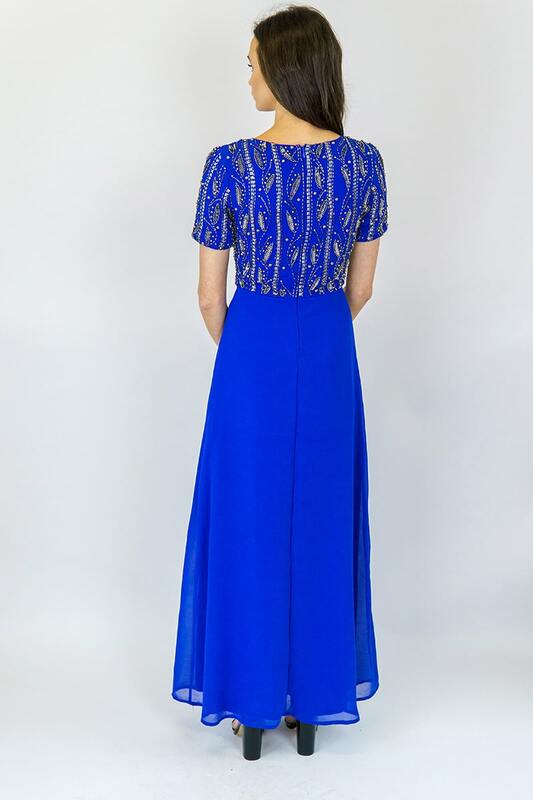 This stunning, flowing gown with gorgeous embellished top is the perfect option for a debs or prom dress or as a unique bridesmaids dress! The metal tone embellished detail give this beautiful gown a super chic, modern feel. The gorgeous flowing skirt is so flattering and the cute cap sleeve make this dress very wearable and the perfect choice for every body shape. Team with one of our stunning glittering clutch bags and our metal belts for the perfect look.